I’m sure the headline seems far-fetched – how can someone cut their expenses that drastically and not be subsisting on rice and beans? I’m not going to lie, it does take some work, but you may be surprised at how you can leverage your time wisely and maximize your savings. 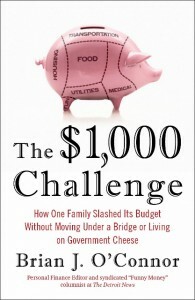 I highly recommend Brian’s book to anyone looking for practical ways to slash their bills. While not everyone has room in their budget to trim it by $1,000, Brian’s tips can still help you cut your expenses. It’s more motivating to go for the big wins. Most of use don’t have a ton off free time to give to clipping coupons or saving a dollar or two here and there. That means that when you are deciding where to start with your savings, it pays to look for places where you can knock out $100 off and even better when you focus on recurring bills. Pick a number and a deadline. Choose a specific goal and have it done by a certain date. Don’t say ’save more’, but instead choose ‘save $50’ one on bill by Friday. O’Connor’s plan involved knocking off $100 each week. That kept him focused and motivated. Negotiate your cable, phone, and internet bills. While we have been quite happy not having cable anymore (it was hardly used), I know that for many couples it’s an expense that they don’t want to eliminate. The good news is if you’re willing to spend a few minutes on the phone, you can save money. I’ve written about how we have cut the bundle and built our own entertainment plan that works for us while saving a bunch of money. Cancel subscriptions you don’t use. That sounds obvious,but as O’Connor discovered several recurring charges on things he sign up for years earlier. Some of them were beneficial at one time, but most of them he didn’t use. One particular charge was on his cell phone bills tucked away, so you may want to review your bills to see if there are any fees for services you don’t use. You may be surprised with how much you can save. 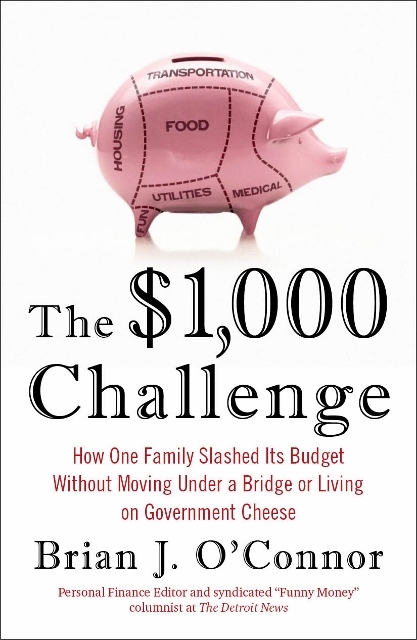 Right now, people are looking for practical ways with improving their finances and books like the $1,000 Challenge show someone can make a huge impact on their finances with some focused effort. Pick up a copy at the library or buy it at the store. He takes a realistic approach that can help many people get a better handle on their finances without taking drastic measures. I’d love to hear from you – do you have any tips on how to reduce your monthly bills?